Koh Larn Guide. Best Koh Larn Beaches and Tours to Coral Island. 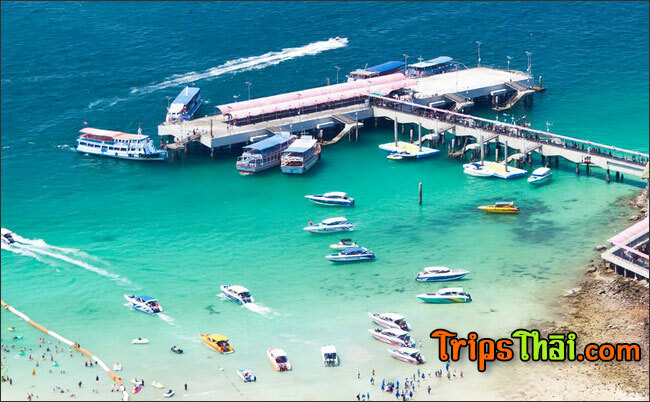 Koh Larn is a gorgeous island near Pattaya with turquoise water and white sand beaches. The island is very popular among tourists as well as local Thais since its easy access from Pattaya and Bangkok. 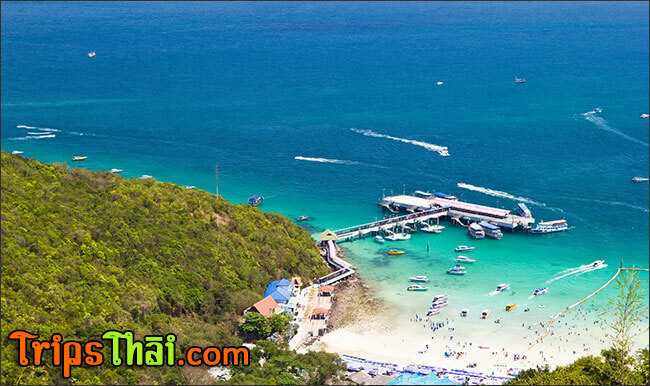 Koh Larn (or Coral Island in English) is approximately 8km in length with tropical forests, hills and stunning beaches. 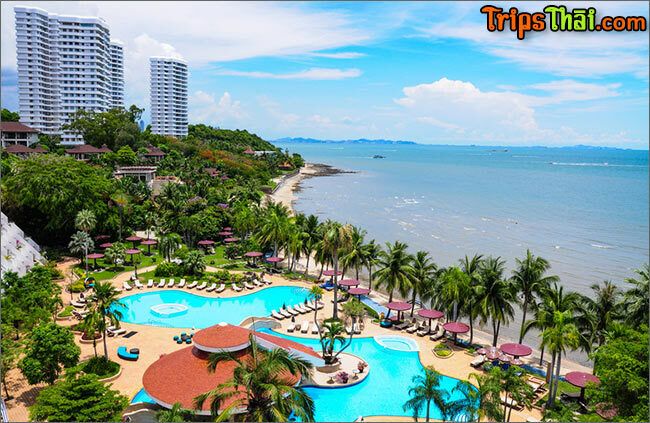 Do not get disheartened by the crowded beaches of Pattaya and Jomtien, because Koh Larn is the place where you should heading to see real stunning beaches. How to get there: From Bangkok, take a cab which will take you to Pattaya in less than 2 hours. Thailand public transportation is also available from Ekkamai bus station where you can catch an air conditioned bus every 30 minutes. Once you reach Pattaya go to Bali Hai Pier which is close to the end of walking street. Public transport boat service is available which costs just 30 baht per person and will take you the Nabaan Pier which is the main pier in Koh Larn. It takes around 40 minutes to reach Koh Lan. If you want to reach there faster, hire a speed which will cost you around 300 baht ad will get you in Coral Island (Koh Laan) in 15 minutes. The island has got five main beaches. Instead of settling down at the crowded beach near the pier, take a pickup taxi service or motorcycle taxi and go to one of the less crowded and beaches to enjoy the sea and sun. Here are my recommendations for the best beaches in Ko Larn. Samae is the most beautiful beach in Koh Larn. Less crowded and if you are visiting during on a normal day, you plenty of beach for yourself. Get soaked in the sea and expose yourself to the sun while enjoy the clear blue waters and white sand on the shore. I have visited Samae beach more than once and it is always relaxing to have a beer and some delicious Thai food at one of the beach side restaurants. If you are visiting during the high season you may notice large number of Russian tourists on this beach and during long weekend lot of Thais also visit Coral Island. When you are visiting Koh Larn, make sure that you go to Samae Beach. This is the biggest beach on the island and is crowded with tourists. However the beach is beautiful and you have plenty of activities on Tawaen Beach. If you don’t mind walking around lot of smiling people then you will definitely like it here. If you are travelling in speed boat, mostly they will directly drop you at this beach. Plenty of restaurants, shops and fun activities in the sea. Thong lang is calm beach which ideal for those who love less crowd. This location is very good for snorkeling where you can find some amazing coral reefs and view the beauty of the underwater ocean. Well, you are on coral island. This is the beach that faces towards Pattaya city and the one you will catch a glimpse first. If you are planning to sit and relax on the beach and not going to swim in the ocean, then I suggest you to go to Nuan beach, Koh Larn. The Tien beach is adjacent to Samae Beach though the view is not spectacular as Samae. But is quieter. Let me give you a tip to make the most out of your visit to Koh Larn. Go to Samae beach in the morning and adore the prettiest beach. By noon when Samae gets crowded, head over to Tien beach and have a delicious lunch at one of the nice restaurants here. Khao Nom Viewpoint: On the way to Samae Beach you can find this splendid view of the sea from the top. There is a beautiful Buddhist shrine on the highest point in the island. If you are into fishing, prepare your fishing gear and baits and get on the beach during early morning. Do you have plenty of time in hand and want to explore beyond the coral island? There two more smaller islands nearby. The C-shaped Koh Sak island which is less than one kilometer away has a horseshoe beach. Koh Krok is another island which situates nearby. However this is a private island and has nothing much to offer other than the small beach. If you are in Pattaya and is wondering where are those picturesque beaches you found on websites and travel guide books know this; they are taken from Koh Larn, the coral island.